The legal system in Finland adheres to the civil law tradition. The primary institutional source of law is legislation and statutes, whereas legislative history and praxis by the higher courts are secondary sources of law. Other permitted sources of law such as legal literature and comparative law can be invoked, but do not hold an institutional position. In addition to national sources, multinational sources, such as regulation by the European Union and praxis by the Court of Justice of the European Union, are also considered sources of law in Finland. If there is a conflict of norms between national and binding international norms, the international norm will generally prevail. The general court, which handles both civil and criminal cases, is three-tiered and consists of the district courts, the courts of appeal and the Supreme Court. The jurisdiction of a district court will in most cases be determined by one of the parties' domicile, and the court of appeal will thereafter be determined by the district court that has tried the case. As jurisdiction is determined by geography, most courts handle a wide array of cases and the judges in Finnish general courts are therefore mostly generalists who do not specialise in a particular case type. A few special case types, for example, military, maritime and land courts, are, however, concentrated in specific general courts. In addition to the general courts, Finland has specialist tribunals for cases that require expert knowledge. The current specialist tribunals are the Market Court, the Labour Court, the Insurance Court and the High Court of Impeachment. From a corporate point of view, the Market Court is the most relevant, as it deals with cases concerning market law, competition law, supervisory matters, public procurement and intellectual property rights. Finland also has administrative courts specialising in administrative law and cases relating to the exercise of public power. The administrative court is two-tiered consisting of the administrative courts and the Supreme Administrative Court. The decisions of public authorities can generally be appealed to the administrative courts and the jurisdiction of the court is generally determined by the district of the decision-making authority. The primary arbitration institute is the Arbitration Institute of the Finland Chamber of Commerce (FAI), which provides arbitration and mediation services in domestic and international disputes. Arbitrations are generally conducted under the FAI Arbitration Rules. Arbitration in Finland is also governed by the Arbitration Act of 1992. Mediation and other forms of alternative dispute resolution have gained popularity in Finland on a theoretical level but are not yet widely used in commercial disputes. During the past few years there have been no significant legislative amendments or new legislation enacted in the field of dispute resolution. Neither has the Finnish Supreme Court rendered any significant decisions of wider cross-border interest. General court proceedings in civil cases in Finland are governed by the Code of Judicial Procedure, which originates from the Swedish Civil Code of 1734 but has been revised several times since, including a fundamental revision in the 1990s. Court proceedings are generally limited to the claims and demands made by the parties and the court may not ex officio initiate proceedings, with the exception of matters of public interest (criminal cases and non-discretional disputes). Court proceedings in Finland follow the principles of immediacy, orality and concentration. According to these principles, proceedings should be conducted – and evidence presented – orally and directly in person to the judge deciding on the case, and only information that has been presented during the main hearings may affect the outcome of the case. Written witness statements are generally not allowed in hearings. Witnesses may, however, resort to written notes in order to recollect, for example, complicated technical data. Following the 2015 revisions of the Code of Judicial Procedure, an appeal to the court of appeal now generally requires a leave to appeal, which should be requested in conjunction with the appeal. The threshold for the leave to appeal is not very high; the leave is granted if there is cause to suspect the correctness of the final result of the decision of the district court or if the correctness cannot be assessed without granting the leave. The appeal procedure is written, unless a party requests that a new main hearing be held and the court of appeal does not find this clearly unnecessary. In practice, a main hearing is held in all notable disputes. In order to appeal a decision of the court of appeal, leave to appeal shall be requested from the Supreme Court. Leave to appeal may be granted only if it is important to bring the case before the Supreme Court for a decision that concerns the application of the law in other similar cases or because of the uniformity of legal practice; if there is a special reason for this because of a procedural or other error that has been made in the case on the basis of which the judgment is to be reversed or annulled; or if there is another important reason for granting leave to appeal. The threshold for the leave to appeal from the Supreme Court is much higher than that of the courts of appeal, with an average of less than 10 per cent of leave being granted.2 The procedure in the Supreme Court is, in general, in writing, though the court may hold a hearing if it deems it necessary. The civil litigation procedure is initiated by an application for a summons to the (district) court with jurisdiction in the matter. The application shall include the specified relief sought by the plaintiff and the circumstances on which the claims are based. If the application has no major flaws, the court shall issue a summons without delay and a response shall be requested from the respondent. The respondent shall state in its reply whether it admits or contests the action, and the grounds for the statement. The procedure may continue with written preparation, where written submissions to the court are requested from the parties, or proceed directly to a preparatory hearing. The goal of these preparatory measures is to summarise the demands of the parties and the legal grounds therefrom to determine the disputed and undisputed facts of the case, and to identify the evidence that the parties intend to present and what they intend to prove with each piece of evidence (i.e., the themes of evidence). The parties generally may not present new legal grounds or evidence after the preparatory phase. Once the preparatory phase has been conducted, the proceedings continue with a main hearing, unless it has been deemed unnecessary. During the main hearing, the parties present their case by giving short oral opening statements. Thereafter, the parties present the evidence supporting their arguments, both through written evidence and witnesses. All written evidence is typically presented by the parties. Witness hearings are generally conducted by the counsels of the parties in an adversarial manner and without interference from the judge. The main hearing is concluded with oral closing statements by both parties. A judgment should, in general, be given within two weeks of the conclusion of the main hearing, but in practice this only happens in very simple cases. In cases demanding more deliberation, rendering a judgment usually takes several months. The duration of court proceedings depends greatly on the amount of evidentiary material to be presented, as well as the caseload of the court and the judge presiding. For a typical corporate dispute, one could expect a duration of 12 to 18 months from an application for a summons to a judgment per instance. The court may order precautionary measures based on a party's application at any time during the proceedings or even prior to the initiation of proceedings. The applicant needs to demonstrate that it is probable that he or she has a right and that there is a danger that the opposing party may infringe or inhibit that right in some way. The threshold for probability is, however, as a rule not too high, and precautionary measures are relatively easy to obtain. The court may, as a precautionary measure, order attachment of the opposing party's property, prohibit or order the opposing party to do, or not to do, something under threat of a fine, or order other measures necessary for securing the right of the applicant to be undertaken. In urgent cases, a temporary precautionary measure can be placed by the court ex parte without hearing the opposing party, and this can at best be done within a day. The applicant is liable for any damage the precautionary measure causes to the opposing party if the measure turns out to be unjustified. The applicant is generally obligated to place a security to cover such potential damage as a condition for the enforcement of the precautionary measure. The Finnish Act on Class Actions of 2007 permits class actions in consumer civil cases against businesses. A class action can be brought by the Consumer Ombudsman if several persons have claims against the same defendant that are based on the same or similar circumstances. A class action can be filed, for example, in disputes concerning defects in consumer goods or the interpretation of a consumer contract. Class actions may not be brought by individual persons or by the initiative of a law firm. The members of the class action can choose to opt in to the action but are not considered parties in the case. Since the Finnish Act on Class Actions entered into force in 2007, there have been no class actions filed by the Consumer Ombudsman. This is most likely because of the cases being solved by the Consumer Complaints Board or settled otherwise. The possibility of a consumer class action may, however, have been used as leverage for negotiations in consumer cases. A litigant may always represent itself in proceedings. This means that a legal representative for a company or other legal entity may act as a representative for that entity. Natural persons may also represent themselves. In order to act as counsel for someone else in court proceedings in Finland, one must be an attorney, a public legal aid attorney or a licensed legal counsel. A legal representative must therefore have a law degree and, in addition, fill the requirements that are placed on attorneys and licensed legal counsel – mainly training, experience and the supervision of a professional supervisory board. Representatives of their employers who are lawyers, namely, in-house counsel, form an exception to this rule and may represent their employers in court without filling the aforementioned qualifications. If the recipient of a notice resides abroad and his or her address is known, and if the service of the notice has not been entrusted to a party, the court shall ensure that the documents to be served are sent as provided in law or agreed with the foreign state in question. Finland has entered into several international treaties that govern the service of documents outside the jurisdiction. Service within the European Union is governed by EU Regulation No. 1393/2007, which allows service of judicial documents from one Member State to another without diplomatic channels. The main principle is that the competent authorities (courts in Finland) send documents directly by post to an addressee residing in another EU Member State. Secondarily, documents are transmitted to the competent authority in the receiving country. Between the Nordic countries, the Agreement between Finland, Denmark, Iceland, Norway and Sweden on Mutual Legal Assistance in Service of Documents and Production of Evidence (Treaty Series 26/1975) is applied (the Nordic Agreement). This Agreement is based on the principle of direct transmission between the competent authorities. In Finland, courts send the documents directly to the receiving authority in the other Nordic country. Finland has also ratified the Hague Service Convention (Treaty Series 51/1969). When this Convention is applied, the Finnish courts send the documents to be served abroad through the central authority (e.g., the Ministry of Justice). Documents to those countries with which Finland has no agreement are transmitted by the courts to the Finnish Ministry for Foreign Affairs, which forwards them for service abroad to the relevant authority. Enforcement of foreign judgments in Finland can only be done by virtue of binding legislation or international treaties. Within the European Union, civil judgments are directly enforceable in accordance with Brussels I Regulation (EU) No. 1215/2012. Under Brussels I, judgments issued in other EU Member States may be enforced directly under the same conditions as national judgments without a separate declaration of enforceability by the district courts. The recast Brussels I Regulation became fully applicable on 10 January 2015. Any judgments following proceedings that were initiated prior to this date fall under the scope of the prior Brussels I Regulation (EC) No. 44/2001, which requires that a court in the state of enforcement first declares the judgment enforceable. In relation to Iceland, Norway and Switzerland, the Lugano Convention is applied. Under the Lugano Convention a judgment must be declared enforceable by a Finnish district court before it can be enforced. If there is no binding legislation or treaties governing the enforcement, it is in practice very difficult to obtain. This is the case with most judgments from outside of the European Union, including from the United States. Finland can assist other EU Member States in the taking of evidence in civil cases. EU Evidence Regulation (EC) No. 1206/2001 allows for a court to send the requests for taking evidence directly to the competent court in the receiving EU country. The Nordic Agreement also allows for direct requests between courts. Finland has also acceded to the Hague Evidence Convention (Treaty Series 37/1976). Under this Convention, Finnish courts transmit the requests for taking evidence abroad through a central authority. The Convention is applied, for instance, in relation to the United States of America and Turkey. In relation to Russia, Finland may apply the Hague Evidence Convention or the bilateral agreement between the Republic of Finland and Russia on legal protection and legal assistance in civil, family and criminal matters (Treaty Series 48/1980). If no treaty or binding legislation is applied, requests for taking evidence must be transmitted through the Ministry for Foreign Affairs. Besides taking evidence, Finnish courts may also assist foreign courts by providing information on foreign law under the European Convention on Information on Foreign Law (Treaty Series 58/1990). All court proceedings and documents are public in Finland unless provided otherwise by law or ordered by the court. This means that the public has access to all the information relating to ongoing or completed proceedings, including pleadings and evidence, unless secrecy has been granted. The Act on the Publicity of Court Proceedings in General Courts (370/2007) states that the court may, at the request of a party, decide that a court document shall be kept confidential to the extent necessary, if public access would probably cause significant detriment or harm to the interests protected by confidentiality obligations, such as trade secrets. Regardless of confidentiality, the parties to a case are entitled to access all court documents of the case. Litigation is generally funded by the parties themselves. Litigation funding by a third party is not prohibited, but it is not common practice. The Code of Conduct of the Finnish Bar Association states that a lawyer shall be free of conflicts of interest when accepting and performing an assignment. A conflict of interest can arise from two or more clients' conflict within the same matter, conflict owing to an obligation of loyalty or secrecy, or conflict based on a lawyer's personal or financial interests. Conflict limitations apply generally and with few exceptions to the entire law firm of the attorney who has a conflict of interest in the matter. Information barriers (Chinese walls) cannot, therefore, be used to forego limitations of conflicts of interest. However, in some cases clients may authorise an attorney to perform an assignment despite a conflict of interest by giving their consent. The Fourth EU Anti-Money Laundering and Counter Terrorist Financing Directive (EU) 2015/849 has been implemented in the Finnish Act on Detecting and Preventing Money Laundering and Terrorist Financing (444/2017) (the Anti-Money Laundering Act). This Act states that an attorney is obliged to know who their clients – and the beneficial owners of their clients – are. Attorneys should also know their clients' business, and detect and examine suspicious business operations, and report any such operations to Finland's Financial Intelligence Unit, the national anti-money laundering unit. The Fifth EU Anti-Money Laundering and Counter Terrorist Financing Directive (AMLD) (EU) 2018/843 is yet to be implemented in Finland. The current Anti-Money Laundering Act is being revised and is set to enter into force in 2019. The fifth AMLD aims to improve international cooperation between Financial Intelligence Units and targets digital currencies, among other things. The European General Data Protection Regulation (EU) 2016/679 (GDPR) entered into force on 25 May 2018 and is directly applicable in Finland. The GDPR states that personal data can only be processed if there is a lawful basis for the processing. Lawyers must take this into consideration when storing case material containing personal data, such as correspondence and evidence. The GDPR sets high standards for data protection and privacy settings, which means that lawyers and law firms must make sure that the systems for storing and processing data are not susceptible to breaches. According to the Code of Conduct of the Finnish Bar Association, a member of the Finnish Bar Association (attorney) may not, with some exceptions, disclose the secrets of an individual or a family, business or professional secrets, or any other information that has come to his or her knowledge in the course of professional activities. The Finnish Code of Judicial Procedure also includes a provision regarding attorney–client privilege. In general, a member of the Finnish Bar Association or a licensed legal counsel may not, without permission of the client, testify regarding what he or she has learned in providing legal services to a client. The provision above does not apply to in-house counsel. Under Finnish law, communication with inhouse-counsel is not privileged, but may, to some extent, be protected by the right to refuse to reveal business secrets. In general, it is the parties' obligation to obtain the necessary evidence in litigation. In a civil matter that is amenable to settlement, the court may not, as a main rule, on its own initiative and without the parties' consensus, decide that a new document is to be presented. The court may, however, pursuant to a party's request, order the opposing party or a third party to produce a document if the document could be of relevance as evidence in the matter. The party requesting production of a document must identify the requested document and specify why it is of evidentiary relevance by defining the theme of evidence for the document in the other party's or third party's possession. The person requested to produce a document is reserved an opportunity to be heard before the court makes its decision regarding the request for production of a document. The person requested to produce a document can oppose the request, for instance, by claiming that the document includes business secrets or is subject to legal privilege. The Finnish courts have adopted a rather strict practice on requests on production of documents. Quite often, the requests are dismissed on the basis of insufficient identification of the requested documents or the lack of established relevance. In many cases arbitration is the preferred method for settling larger commercial disputes, and, thus, it is quite common for a Finnish commercial agreement to include an arbitration clause. During recent years, mediation has become more general and the experiences of mediation have been positive. Under Finnish law, most disputes that can be settled amicably can be brought to arbitration. There are, however, some statutory limitations to arbitration. For instance, an arbitration clause in a consumer contract concluded between a business and a consumer before a dispute arises is not binding on the consumer. Arbitration is governed by the Finnish Arbitration Act of 1992, which applies to both domestic and international arbitration. The Finnish Arbitration Act does not accord with the UNCITRAL Model Law on International Commercial Arbitration. The Act includes provisions on the arbitrators and the proceedings as well as provisions on foreign arbitral awards and agreements providing for arbitration outside Finland. Provisions on the appointment of arbitrators and commencing an arbitration proceeding included in the Act are quite detailed, whereas provisions on the actual proceedings are very limited. The proceedings are largely based on party autonomy. 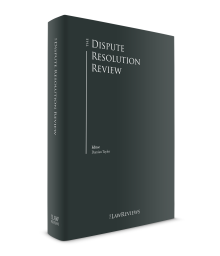 In domestic arbitrations, the proceedings are in practice often carried out largely in a manner corresponding to the civil case proceedings in a court. It is worth mentioning that the Finnish Arbitration Act does not include provisions on precautionary measures. If a party to an ad hoc arbitration carried out in accordance with the Finnish Arbitration Act wishes to apply for a precautionary measure, the application is made to a district court in accordance with the provisions governing precautionary measures included in the Finnish Code of Judicial Procedure. The FAI provides arbitration services in domestic and international disputes. The current FAI Rules were issued in 2013. The FAI Rules are applied to arbitration proceedings provided that there is an arbitration clause referring to the FAI Rules or the parties have otherwise entered into an arbitration agreement with reference to the FAI Rules. The FAI Rules can be considered state-of-the-art arbitration rules. The proceedings are commenced by the claimant submitting a request for arbitration and the respondent submitting an answer to the request for arbitration to the FAI. Thereafter, the proceedings will be continued by appointment and confirmation of the arbitral tribunal. After the case file has been transmitted to the tribunal, the proceedings are continued by exchange of the parties' written briefs and the hearing. Pursuant to the FAI Rules, the final award shall be made no later than nine months from the date on which the arbitral tribunal received the case file from the FAI. The FAI may extend this time limit. The FAI Rules also incorporate rules on emergency arbitrators. According to these rules, a party in need of urgent interim measures of protection that cannot await the constitution of an arbitral tribunal may apply for the appointment of an emergency arbitrator before the matter has been referred to an arbitral tribunal. The emergency arbitrator shall make its decision within 15 days of the date of receipt of the case file. The FAI may extend this time limit. The FAI also has separate rules for expedited arbitration. The expedited arbitration is intended for smaller disputes with lesser monetary interest. In expedited arbitration the arbitral award is rendered within three months of the date the case file is transferred to the arbitral tribunal. Finnish arbitral awards are not open to appeal on the merits. An arbitral award may, however, be set aside by the court upon request of a party owing to procedural errors enumerated in the Finnish Arbitration Act – in other words, if the arbitrators exceeded their authority; an arbitrator has not been properly appointed; an arbitrator could have been challenged pursuant to the Finnish Arbitration Act, but a challenge properly made by a party was not accepted before the arbitration award was made; if a party became aware of the grounds for a challenge so late that he or she was unable to challenge the arbitrator before the arbitration award was made; or if a party was not given sufficient opportunity to present his or her case. The action requesting setting aside an arbitral award must be made within three months of the date the requesting party received a copy of the award. An award may also be declared null and void upon a party's request to the extent the arbitrators have in the award decided on an issue not eligible for settlement by arbitration under Finnish law, to the extent that recognition of the award is to be deemed contrary to the public policy of Finland, if the arbitration award is so obscure or incomplete that it does not indicate how the dispute has been decided, or if the arbitration award was not made in writing or signed by the majority of the arbitrators. There is no time limit for a request regarding declaring an arbitral award null and void. The court procedure related to requesting an arbitral award to be set aside or declared null and void is three-tiered. The district court's decision is open to an appeal in the court of appeal, and the court of appeal's decision may be appealed in the Supreme Court, provided that the Supreme Court grants a leave to appeal. During the past few years, the number of actions requesting the setting aside of an arbitral award has increased. However, these actions do not usually succeed. The threshold for setting aside an arbitral award is high. Finland has ratified the Convention on the Recognition and Enforcement of Foreign Awards (the New York Convention) without making the reciprocity reservation or the commercial nature reservation. Provisions regarding enforcement of a foreign arbitral award are implemented in the Finnish Arbitration Act, which states that a foreign arbitral award may be enforced upon written request to a district court. During recent years, there has been a lot of discussion about mediation within the Finnish legal community. Despite the ongoing discussion, mediation is still not very common in Finland. In Finland, court mediation has been available since 2006. Court mediation typically takes place after submission of the application for a summons and the answer to the application for a summons before continuing the court proceedings. Court mediation can, however, also be commenced in a dispute not pending before a court. Compared to court proceedings, court mediation is considered speedier, more informal, more flexible and more cost-effective. Court mediation is governed by the Finnish Act on Court-annexed Mediation. Mediation is always voluntary, and, therefore, all the parties to the dispute must consent to it. The court, however, makes the final decision on commencement of court mediation. The mediator is a judge in the court where the case is pending. Primarily only judges who have been trained as mediators act as mediators in court mediation. A party may, at any time during the mediation, notify the mediator that he or she no longer wishes to have mediation in the matter. In this case, the mediation will be concluded. The mediator may also decide, after hearing the parties, that there is no justification for continuing the mediation and conclude it. A settlement accepted by the parties may be confirmed by the court. If an amicable settlement is not reached in court mediation, the possible pending court proceedings will be continued. The judge dealing with the matter in a trial will not be the same as the mediator. A party may not, in any later proceedings, without the consent of the other party, rely on representations made by the other party in the interest of settlement. Out-of-court mediation is also available in Finland. For instance, the Finnish Bar Association and the FAI provide out-of-court mediation. According to the mediation rules of the Finnish Bar Association, the mediator shall be a member of the Finnish Bar Association who has been trained to act as a mediator and who is included in the list of mediators maintained by the mediation board of the Finnish Bar Association. The FAI administers mediations under the Mediation Rules of the Finland Chamber of Commerce, which entered into force on 1 June 2016. The parties may jointly nominate a mediator for confirmation by the FAI. At the request of the parties, the FAI may also propose prospective mediators for the parties to consider. If the parties do not jointly nominate a mediator, the FAI shall make the appointment. It is common to have only one mediator. If the parties have reached an agreement in the out-of-court mediation, the settlement may, upon application, be confirmed as enforceable in a district court. Agreements related to mergers and acquisitions (M&A) typically include provisions whereby disputes involving valuation or other kinds of financial determination are to be resolved by expert determination, for instance by an independent auditor. Other kinds of M&A-related disputes are, however, typically resolved in arbitration. Use of referees as an alternative dispute resolution method is not common in Finland. Typically, dispute resolution provisions involving the use of referees can be found in construction agreements, if at all. Other alternative dispute resolution methods are also available in relation to different kinds of disputes. For example, consumer advisers and the Consumer Disputes Board deal with disputes related to consumer protection. The decisions of the Consumer Disputes Board are solely recommendations and cannot, thus, be enforced. In Finland, the prevailing dispute resolution method in business disputes is arbitration. Often a court procedure is considered to take too long. In many cases, even the court proceedings in a district court take longer than an arbitration proceeding. Also, the publicity of court proceedings as well as the courts' lack of special expertise are often considered to favour arbitration. 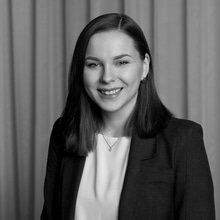 Finnish arbitration proceedings, as well as the arbitration community, have grown and developed during recent years, and the trend is continuing. For instance, in 2018 the Finnish Ministry of Justice launched an assessment of the need to reform the Finnish Arbitration Act. Many Finnish businesses, law firms and other entities and institutions involved with arbitration have submitted statements supporting the reformation and incorporating the UNCITRAL Model Law into the Finnish Arbitration Act. It is expected that business disputes will increasingly be resolved in arbitration and mediation. 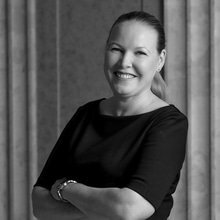 1 Tiina Järvinen is a specialist counsel and Nelli Ritala an associate at Merilampi Attorneys Ltd.
2 https://korkeinoikeus.fi/en/index/supremecourt/statistics.html [27 November 2018].